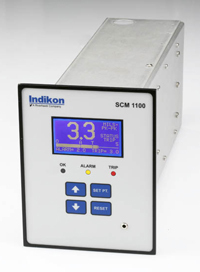 The eddy current proximity probe detects changes (losses) in the magnetic flux density field generated by the presence of a material target. These changes in the field, which are detected by the probe, are proportional to the distance to the target and dependent on both the magnetic properties and bulk conductivity of the material. 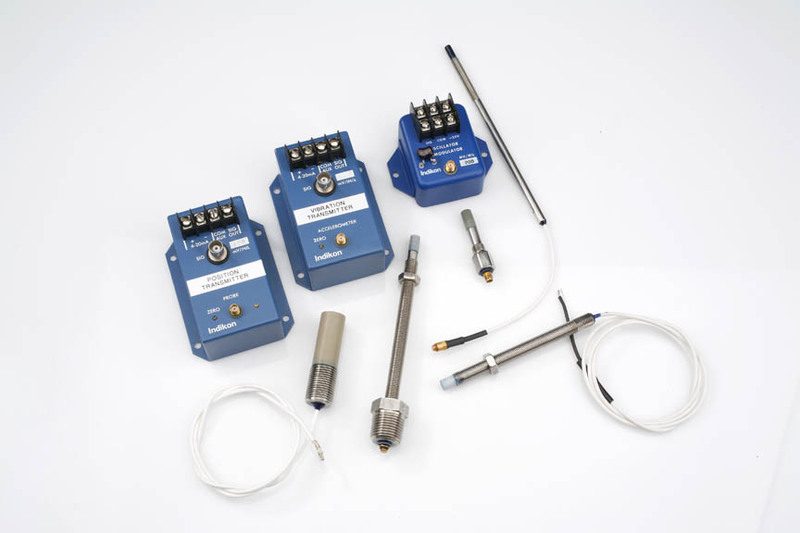 The most important advantages of the eddy current probes are its immunity to oil and dirt and their reliable performance in grimy environments, therefore, making them the ideal choice in machinery applications. 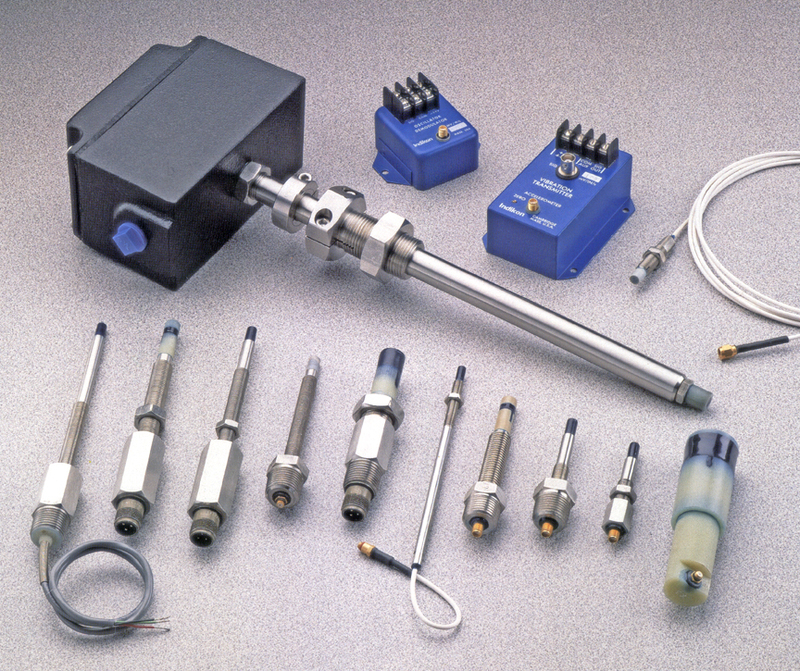 A typical probe system involves the use of a probe, driver/transmitter, and a probe cable. Either a probe driver (voltage output) or a transmitter (4-20mA output) must drive the probe, and provide the current to excite it and generate the magnetic flux field. The connection between the probe and the driver/transmitter is done through a probe cable, which has several available types of connector choices (male or female μ (microdot/SMB), male or female SMA, spade lugs) depending on the type of probe and/or installation requirements. This probe system could be placed in a single package where the probe and driver are within the same body and the output wires provide the required voltage output. The magnetic flux field extends well beyond the immediate area between the probe and the metal target. Any other metal on the side of the probe or immediate vicinity will affect its performance by decreasing the linear range. Therefore, probe side clearances must be observed in order to provide optimum probe performance. To learn more about Riverhawk’s Indikon Eddy Current Proximity Probe, please contact a member of our team or build your own probe here.